What is unique about August 2012 Full Moon? August 2012 will feature not 1 but 2 full moons. The full moon occurs once every 29.5 days. This essentially means that there is one full moon every month. However, as we know, every month but February has at least 30 days in it, which presents the potential for two full moons in a month. August 2012 – is one of these unique months, which will have two full moons. There will be a full moon on August 2nd, and then another full moon on August 31st. So those of us whom are superstitious in regards to full moons will have two special days in August of 2012. For the mainland United States, the first full moon of August falls tonight (Wednesday, August 1) at 11:27 p.m. EDT, 10:27 p.m. CDT, 9:27 p.m. MDT or 8:27 p.m. PDT. By Universal Time – the standard clock time at the prime meridian of Greenwich, England – the moon turns full on Thursday, August 2, at 3:27 in the morning. Although the full moon occurs at the same instant worldwide, the clock reads differently according to time zone. The term Blue Moon can refer to the second full moon in a given month. When people say “once in a blue moon” they are speaking to the rarity of the occurrence of a second moon happening in the same given month. 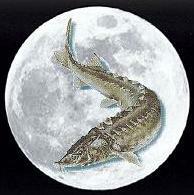 The August full moon is also known as Full Sturgeon Moon named after the Native Americans. The Sturgeon moon is remarkably named after the sturgeons of fish available around the Great Lakes, however the tribes in the southern part of the Americas name it the Full Red moon because of the heat the moon seems red and hazy. In European nations it was the named Green corn moon after the corns appear to have green leaves and grains are at its highest peaks. When the Moon is full, the pull linking of the Moon on one side of the earth and the Sun following creates and unbalanced draw and as humans since we are 80% water it many have a great affect on our own bodily water levels including the earths atmosphere. This is also known as the second moon of Shawnodese, Spirit Keeper of the South is the Ripe Berries Moon (July 23 to August 22) position on the Native American Medicine Wheel. Iron and garnet are the mineral totems for this moon, raspberry is the plant totem, and the sturgeon is the animal totem. The color is red, and the Thunderbird clan influences the position. Iron teaches people in this position about their strength and garnet shows them their heart is the source of that strength. From the raspberry they learn about their sweetness and the thorns they project to protect this part of themselves from other people. The sturgeon shows them their depth and their need to teach. The Ripe Berries Moon teaches them how to work from the heart center, how to demonstrate affection, how to face fears, and how to develop leadership abilities. This moon helps develop courage and power. People experiencing the sturgeon energy need to guard against impulsiveness, arrogance, and a tendency to dominate any scenario. Many people have asked the question how often they should have a reading done by a physic. An in depth reading should be done every moon cycle. Since, every moon cycle represents a change it not only affects our external forces but our internal forces as well. Where would you be without your girlfriends? On National Girlfriends Day, we take a moment to step back and appreciate these lifelong friends. You can always depend on your girlfriends. Whether you call on them to share exciting news, to have a shoulder to cry on, or to just hang out, your girlfriends are always there for you. That’s why today is a day to celebrate these women—friends, sisters, mothers, and daughters. They are all essential parts of our lives! There are many things that you can do with your girlfriends today to celebrate. Head to the beach, go to a wine tasting, or spend a day in the park. Whatever you decide to do, enjoy the time you spend with each other! Girlfriends share a lot, from meals and clothes to laughter and the latest information. Be a healthy girlfriend, and help a girlfriend live a safer and healthier life. These tips will help you be the best you can be for yourself and your girlfriends. Eat healthy at gatherings. Whether you’re at home or gathered for a book club, birthday celebration, or a girls’ night out, make healthy choices in what you eat and drink. Don’t drink and drive; be sure to designate a non-drinking driver. Be active while having fun. Enjoy each other’s company while you walk, bike, bowl, swim, dance, play tennis, and more. Regular physical activity is important for good health, and it’s especially important if you’re trying to lose weight or to maintain a healthy weight. Adults should be active for at least 2½ hours a week. Face the facts, manage stress, and be supportive. A friend in poor health, an abusive relationship, with mental illness, or who serves as a caregiver may lead a complicated life for a period of time. Maintain your own mental and physical health so that you can to be supportive of her and help find services she may need. Be a great role model. Get exams and screenings, vaccinations, and other care you need. Get enough sleep. Keep safety in mind. Eat well. Be smoke-free. Take these steps to live a safer and healthier life and encourage her to do the same. I would like to thank all of my girlfriends for being supportive of me. Many of you I have not met and only know through the Internet, but you are as important to me as someone I see face to face. Numerology is the study of the symbolism of numbers. 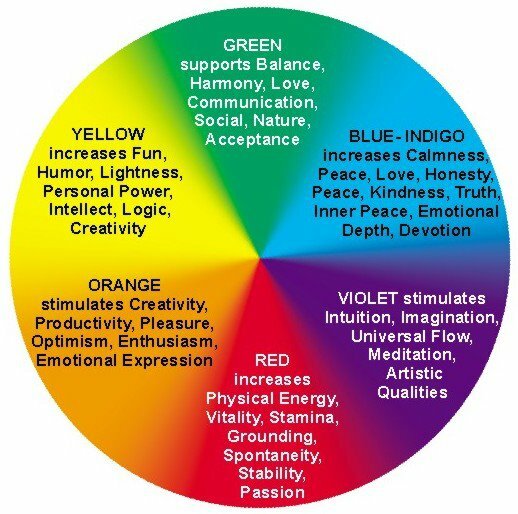 It is used to determine a person’s personality, strengths and talents, obstacles to be overcome, inner needs, emotional reactions and ways of dealing with others. Every number has a certain power which is expressed both by its symbol to denote its representation and by its connection to universal principles. Numbers have relationships with all things in nature, thus making them supremely powerful symbolic expressions. At its most basic, numerology is the study of numbers and their influence in our lives, but there is so much more potential. I love numerology because it’s a thread of understanding that can be pulled, and pulled and pulled – ad infinitum. Often when I am doing a psychic reading I see numbers and have to interpret what those numbers are trying to say for the client. Numerology offers so many facets to understanding a single event. The esoteric meaning of numbers can be a real code-cracker of our life experience. Join me as we explore this fascinating subject. When an old man died in the geriatric ward of a nursing home in an Australian country town, it was believed that he had nothing left of any value. Later, when the nurses were going through his meager possessions, they found this poem. Its quality and content so impressed the staff that copies were made and distributed to every nurse in the hospital. One nurse took her copy to Melbourne. The old man’s sole bequest to posterity has since appeared in the Christmas editions of magazines around the country and appearing in mags for Mental Health. A slide presentation has also been made based on his simple, but eloquent, poem. And this old man, with nothing left to give to the world, is now the author of this ‘anonymous’ poem winging across the Internet. What do you see nurses? . . .. . .What do you see? Uncertain of habit .. . . . . . . .. with faraway eyes? Who seems not to notice . . .the things that you do. And forever is losing . . . . . .. . . A sock or shoe? With bathing and feeding . . . .The long day to fill? As I do at your bidding, .. . . . as I eat at your will. Dreaming that soon now . . .. . . a lover he’ll meet. A groom soon at Twenty . . . ..my heart gives a leap. At Twenty-Five, now . . . . .I have young of my own. Who need me to guide . . . And a secure happy home. Bound to each other . . .. With ties that should last. Again, we know children . . . . My loved one and me. Dark days are upon me . . . . My wife is now dead. I look at the future … . . . . I shudder with dread. For my young are all rearing .. . . young of their own. And I think of the years . . . And the love that I’ve known. I’m now an old man . . . . . . .. and nature is cruel. It’s jest to make old age . . . . . . . look like a fool. The body, it crumbles .. .. . grace and vigor, depart. There is now a stone . . . where I once had a heart. I remember the joys . . . . .. . I remember the pain. And I’m loving and living . . . . . . . life over again. I think of the years, all too few . . .. gone too fast. And accept the stark fact . . . that nothing can last. So open your eyes, people .. . . . .. . . open and see. Look closer . . . . see .. .. . .. …. . ME!! Remember this poem when you next meet an older person who you might brush aside without looking at the young soul within. We will all, one day, be there, too! Starting now until July 31, 2012 pay by my phone service, Ether, and the cost will be $1.00 per minute for a Psychic Reading. This is a Dramatic Savings So Act Now! Your credit card information will be taken and you will be connected directly to me through this service. If the service says that I’m unavailable you can make an appointment through Ether and your call will be returned as soon as I’m available. This service is only available in the USA and Canada. More Info Click Here.